Prof Yuji Nishimuta at Kyoto University, one of the tops of Japanese national universities is holding an event to pursue the truth about 9/11 this Sunday!! "Kyoto is not that far, so please come and join us!!" Please tell your friends in Japan! Corrected version of Councillor Fujita's "Comment on Circumstances of Washington Post Editorial Dated Mar 8, 2010"
I received this from Mr. Fujita last night. This is the correct version. Please spread this one far and wide. Anything to do with 9/11, 2001? On September 11, 2000, at 1246 eastern daylight time, a PA-28-161 (Cherokee), N9208N, and a PA-23-250 (Aztec), N54235, collided on final approach to land on runway 09 at the Saint Lucie International Airport in Fort Pierce, Florida. The Cherokee was operated by Flight Safety International and the Aztec was operated by the airline transport pilot under the provisions of Title 14 CFR Part 91 with no flight plans filed. Visual weather conditions prevailed at the time of the collision. The air transport pilot onboard the Aztec, and the private pilot, a Saudi Arabian citizen, onboard the Cherokee, both received fatal injuries. Both airplanes were destroyed. The Cherokee instructional flight departed Vero Beach, Florida, on a solo training flight at approximately 1220, and the Aztec departed Okeechobee, Florida, after refueling, at approximately 1230. "Now unravelling - 9/11 NY Terror Mystery"
This must help get a lot of people coming to fill the venue. Thank you Makishi san and thank you Okinawa Times!! There's been a doubt that the WTC twin towers in NYC were planned to be destroyed by somebody, due to the way they fell straight down. The night of September 12, 2001, I happened to put the TV on and saw a familiar building from portfolio of architecture burning. I turned the volume up thinking it was a movie like "The Towering Inferno" only to find out it was live. I am still mystified to this day of the scene of the two buildings collapse vertically. They say a commercial aircraft crashed into the Pentagon - the US Department of Defense, but there was no aircraft wreckage left at the scene. As I wrote before, they had sold only twenty tickets early this week for the lecture in Osaka. Besides, the organizer Tabuchi san got hospitalized with duodenal ulcer. Yumi says, "Telling the truth, I was worried" to open the door. When the organizser of the lecture in Osaka got hospitalized(from too much work) while only twenty tickets have been sold, Senti Times in Osaka printed to notify citizens about Richard's lecture which is going to be held tonight!! Yumi says she's going to give away Richard's DVD on top of that special leaflet of 24 pages. DVD is available for up to 150/Osaka, 50/Kobe, and 100/Okinawa participants. See the details of the lectures here. And please tell others and encourage them to go and listen to him!! Also, on top of several architects and engineers who attended Richard's lectures, he's met with Prof. Akira Wada of Tokyo Institute of Technology and Associate Prof. Daigoro Isobe of Tsukuba University. Mr. Fujita held a lecture with Richard Gage at the National Diet of Japan. Mr. Fujita told us that 9 politicians and about 20 secretaries were to attend. Also, Yumi told us that Weekly Asahi, one of major weekly magazines(of Asahi Newspaper) in Japan came to interview Richard. When she reported this, they were already talking with Richard for FIVE HOURS!! They were impressed with Richard's talk, they found there were many things they didn't know, and how convincing his talk was. Thank you Richard, Yumi, Fujita san, Dan, Josef, Gen, and so many others. 9-11 Was An Inside Job!!! Here a few more pohotos from Tokyo, then report from Yumi and Dan. 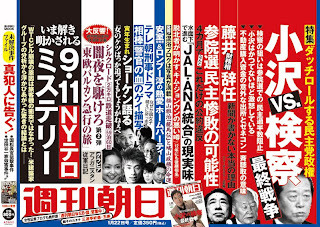 Yukihisa Fujita on 9/11 on 11SEP09!! SERIOUSLY, we need more politicians like him!! This is a rough cut of the September 11, 2009 IndyInAsia & Jack Blood interview with Yukihisa Fujita - Part 1. Callers include William Rodriguez, Manny Badillo, and more. Opposition leader in Japan supports "REGIONAL CURRENCY"
Yukio Hatoyama is the leader of the opposition in Japan which is about to have the big election which MIGHT make him a Prime Minister of the country. In the post-Cold War period, Japan has been continually buffeted by the winds of market fundamentalism in a US-led movement that is more usually called globalisation. In the fundamentalist pursuit of capitalism people are treated not as an end but as a means. Consequently, human dignity is lost. How can we put an end to unrestrained market fundamentalism and financial capitalism, that are void of morals or moderation, in order to protect the finances and livelihoods of our citizens? That is the issue we are now facing. 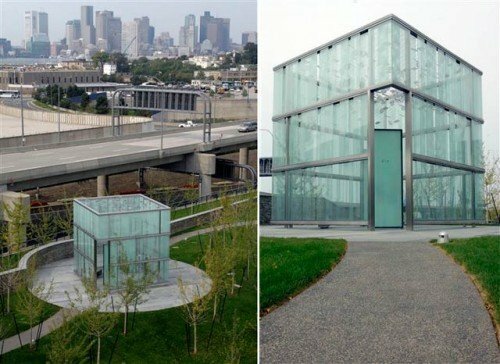 9/11 has inspired a myriad of memorials who are scattered all across America. Some of them are of questionable taste, others contain strange occult symbolism while others simply piss people off. Here’s the five most offensive. 9/11 was a terrible tragedy, no matter who made it happen **cough** Rumsfeld **cough cough ** False flag terror ** cough**. Sorry, I don’t usually cough while typing. Since this event was the most terrible terrorist act committed on US soil, it is simply fitting that many memorials appear in honor of those who unjustly lost their lives. Some of them are very touching, inspiring and heartfelt. Others, not so much. Some even make you wonder if they were actually built for the victims or to serve an agenda. 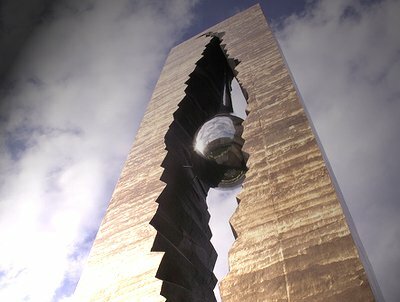 The monuments here are controversial, insensitive and slightly offensive…a little like this article. Enjoy.